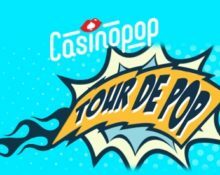 CasinoPop – Tour de Pop! 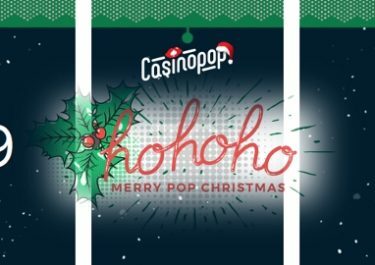 Win Epic and Free Spins, every day! Gear up and visit CasinoPop for seven exciting tournaments. Participate in a new race every day at 18:00 CET to win a share of amazing 2,000 Epic Spins and 1,000 Free Spins on the most popular games on the market. The first race starts on the 23rd April 2018 and the last one finishes on the 29th April 2018, so come back every day all week and enjoy more than 40 hours of thrilling fun in the tournaments. Everyone can win the big jackpot, so can you! Looking for some extra daily excitement on the reels and big rewards? 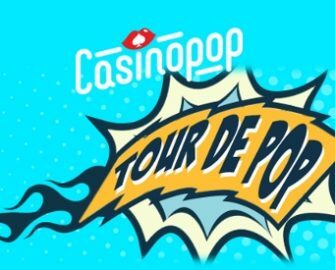 Then do not miss the daily tournament of the Tour de Pop campaign at CasinoPop and compete against your fellow players for a spot in the TOP5 to win a share of 2,000 Epic Spins and 1,000 Free Spins on two popular Quickspin slots. The tournaments run every day between 18:00 – 23:59 CET throughout the promotional period. To place on the leader board, players need to score the highest equalized wins over 20 consecutive spins on any video slot with a minimum bet of €1,00 or currency equivalent. Classic slots and table games are excluded. Cash and bonus bets are eligible for this promotion, however, if any one of the bets in the 20 best game rounds is with bonus money, the prize will be paid out with standard wagering requirements. The TOP5 scoring players of each daily race will win a share of the prize pool, credited shortly after the tournament has ended: 1st – 150 Epic Spins | 2nd – 100 Epic Spins | 3rd – 75 Epic Spins | 4th – 50 Free Spins | 5th – 25 Free Spins. Epic Spins have 3x the value of Free Spins. All spins can be played on Joker Strike or Second Strike from game provider Quickspin.